Flomist, a generic version of Fluticasone Nasal Spay, is the most prescribed medicine for seasonal allergic rhinitis. It is manufactured by Cipla in India and available in 50 mcg/100 dose. Fluticasone belongs to a class of medications called corticosteroids. It works by blocking the release of certain natural substances that cause allergy symptoms. 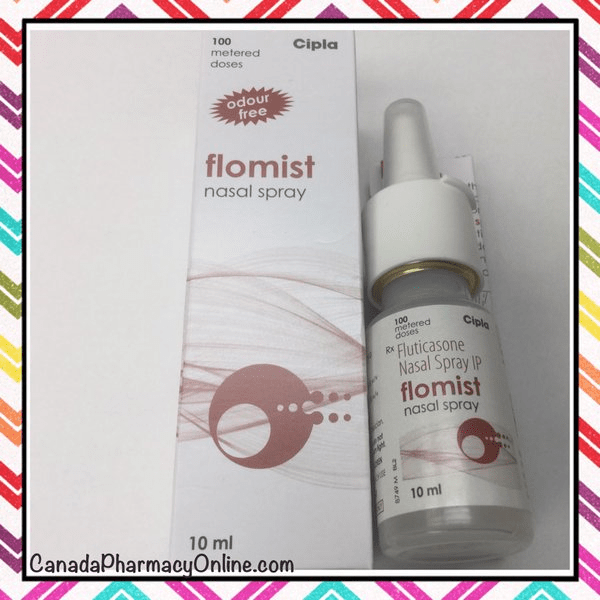 Flomist is used to treat allergy symptoms such as nasal congestion, sneezing, runny and stuffy nose. But it can not be treated for some similar symptoms caused by common cold. Fluticasone also has a brand name called Flonase. order Flonase online from our certified Canadian Pharmacy, a valid prescription is required.